Column 4 with my short opinion on current (photography) affairs or just another short thought related to photography. In any case they all only express a personal opinion. Today’s column is on the importance of the individual experience as part of the artistic statement and as evidence for the authenticity of an abstract idea. American abstract expressionist Mark Rothko once said that art is the specification of a generalization. Art should be very specific and referring to something abstract and general, and art should therefore not be an abstract idea that could refer to something specific. The latter is philosophy and academic, the former is art. 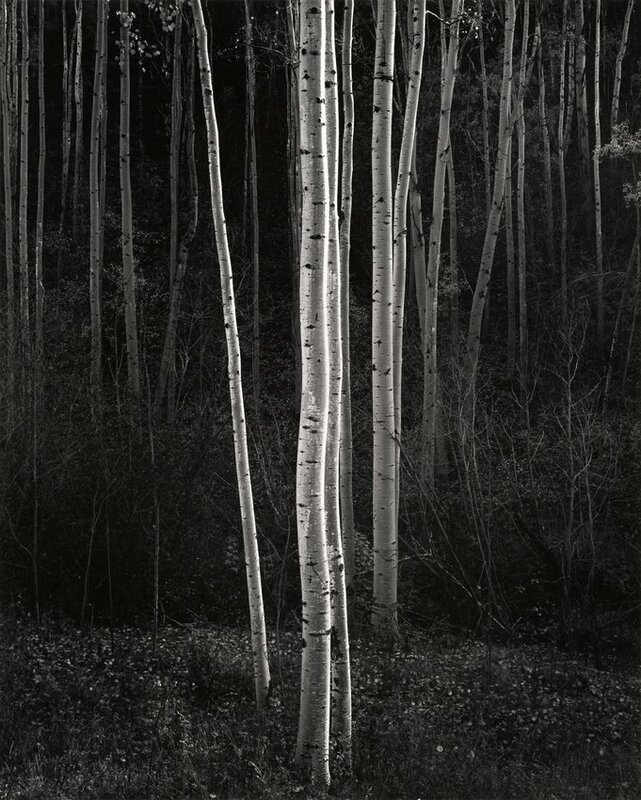 In the world of fine-art photography, it is common to write up an artistic statement for a body of work, for a series of images, a project or a book. An artistic statement that has become mandatory when one’s work is represented by a gallery, sure enough for the foreword of a photo book, and at least recommended when submitting a series of work to a competition. This statement then serves as a conceptual frame of reference, to use the artist’s intentions and motives as a meaningful guideline for interpretation by the observer. Here’s where many (aspiring) artists struggle as I struggled too in the past. What is a meaningful description of a series of work? What is useful and effective? Let me try to suggest a recommended structure and objective of an artistic statement based on my experience, research, and discussions with my students. The recommended structure has an analogy with what Rothko said about art being from-specific-to-generalization. What should be described in the artistic statement is a very personal motivation, in the form of a personal event, that led to the conscious or subconscious identification of an abstract or general idea that ultimately resulted in the series of artwork. A purely abstract or general idea, with no specific individual narrative to support the generalization will usually not be sufficient. Let’s take an exaggerated example: a photographer suffering from a specific form of synesthesia who is hearing sounds when seeing specific shapes and who creates a series of architectural photographs with a statement that reads like this: the first time I encountered this building I heard a clear sequence of minor chords, conjuring up darker images in my mind. It prompted me to find other buildings that evoked the same auditive and visual sensations. This resulted in this series called Spaces in C-minor with dark brooding architectural images. That’s far more specific with a specific individual trigger than creating a series saying it is based on Goethe’s quote, that architecture is Frozen Music and are so dark because you’re being fascinated by shadows. That’s too generic. On a side-note: the irony of this, for people who know me, is that I won first prize at the IPA 2011 with a series of architectural images called Frozen Music with a generic reference to Goethe’s words. This can either be an indication of the quality of the IPA or an indication of the value of my recommendation in this article:) But please read on. What does it matter if it’s not specific enough? This is the reasoning: anyone can take a quote or a generic idea and create a series based on that quote or idea, without the necessity of having a very specific personal attachment to it. Simply for the sake of a motif, that almost gives the artist an excuse to create something that is not felt, but only is en vogue, visually. The motive for a motif should be authentic, one that is felt personally. Not a far-fetched excuse. Art is the unique, individually experienced specification of a generalization. Something individual and specific that points to something abstract and general. And not the other way around, something abstract that could apply to something specific. It gives authenticity to the statement. It indicates you can relate on a personal level with the abstract statement and not just found a nice quote to go with the body of work. However, this doesn’t mean any statement accompanying a series that is not from-specific-to-generalization is wrong or not sufficient. There are many examples, including my own IPA2011 example, that prove otherwise. But the series of photographs that impressed me and the world of photography, the most have always been those series that have a very specific individual motif. 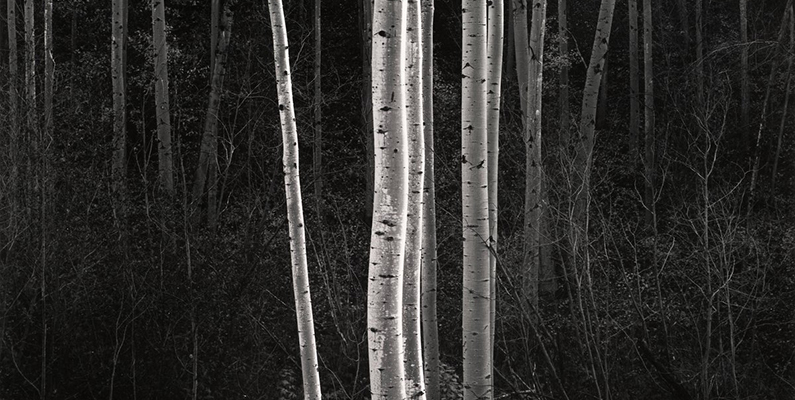 They are timeless and belong to photographic history. Just keep an eye next time you see a series that impresses you and how it is described. It will most likely be a very specific individual event that led to the creation of a series that visualizes an abstract or more generic idea. It creates a narrative that is authentic due to the personalization. 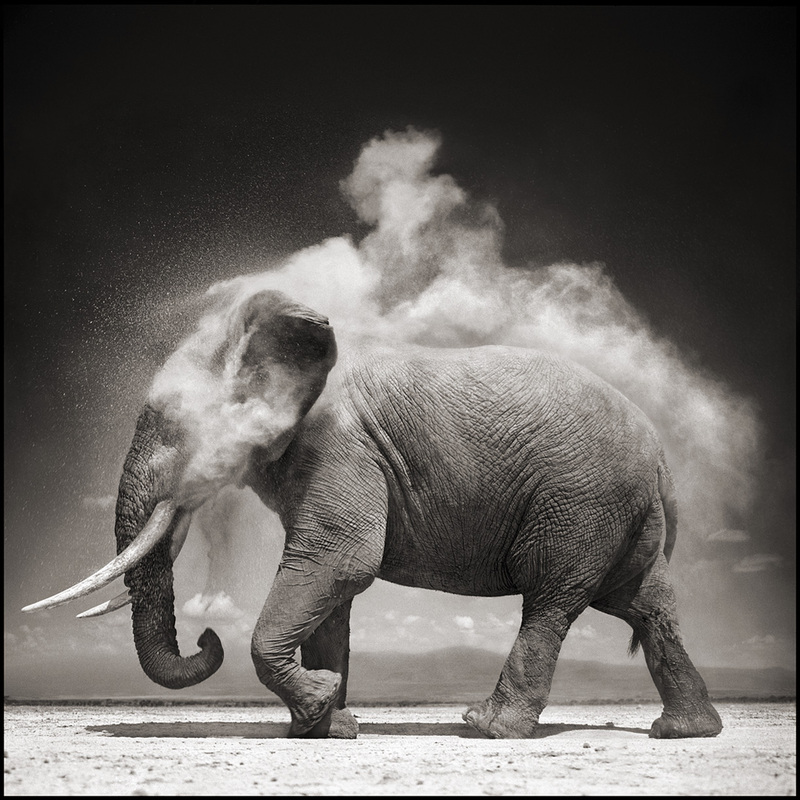 (c) Nick Brandt, Elephant With Exploding Dust, Amboseli. Nick Brandt’s work has received high praise for years long before the age of social media. For his work, Inherit the Dust he wrote the statement you can find here. Note how he starts with “I grew up in England home of the elk, lynx and brown bear of the wolf and wolverine and cave lion, of the woolly mammoth and woolly rhinoceros. Glorious creatures, a wonder to behold as they roamed across the hills and forests of southern England. Of course, this was before my time […]”, then continues with “[…] Meanwhile in parts of present-day Africa – albeit fewer parts by the day – sometimes even more extraordinary animals DO still roam. East Africa. Where you can still cast your gaze across the plains, and see multiple species.[…]”. He started with a description to denote a personal experience. A specific experience that triggered him to create a body of work that points to a more general idea: the devastating impact of human activities on wildlife. So the next time you photograph something, think about why you do it. What is your personal experience that makes you want to photograph it? If it’s authentic enough, it will be unique. If it’s authentic and unique it will most likely point to a general or abstract idea that can be related to by the viewer. And if you’re able to describe the personal trigger and the general idea it points to in your statement, you will give personal evidence that it is authentic and personally felt. And this is how photography history can be created. Just say “I” and make it personal. I believe that a photograph or a project should speak for itself without the need to explain why you did this. We’ve read perfect statements about mediocre works, that wouldn’t have gained any attention without the wording – but is this photography? In any case, since we’re forced to write statements and other kinds of texts to support our work, I think this is a very helpful article with some sound advice. For sure if you photograph a subject you have a feeling for it becomes easier to explain. I feel like this has been said to me once before. 😉 It all makes sense that any form of art has to have a meaning to the individual making it, to hopefully transcend that message to the viewer. Deep down we need to feel the reason why we created it. So that memory is embedded in to our journey. Thank you for writing this and making it so meaningful. Excellent, this is something I have struggled with trying to explain why I do what I do. I have a deep feeling for what I do, but putting it across in a comprehensive way is not always as easy as it seems it should be. Wonderfully stated Joel. So much has been gained and lost with the digital medium of photography.